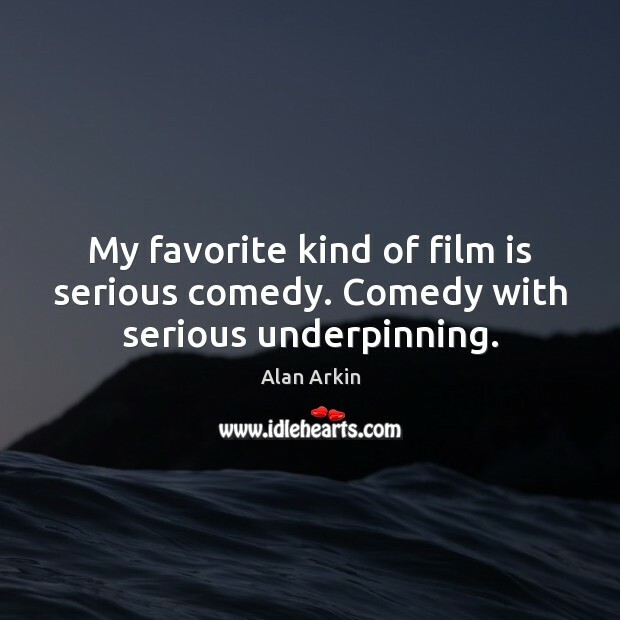 Enjoy the best inspirational, motivational, positive, funny and famous quotes by Alan Arkin. Use words and picture quotations to push forward and inspire you keep going in life! 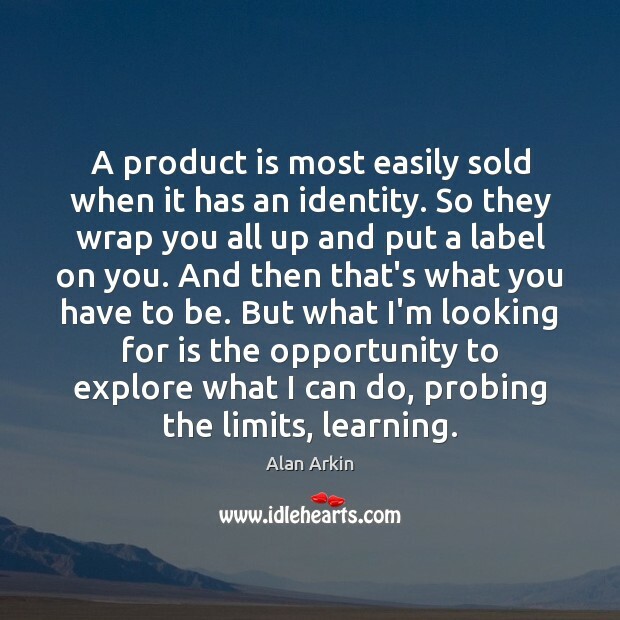 A product is most easily sold when it has an identity. So they wrap you all up and put a label on you. 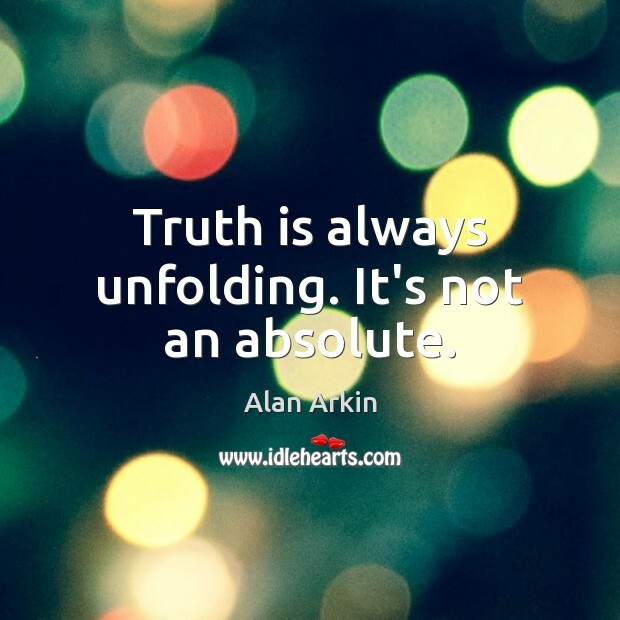 And then that's what you have to be. 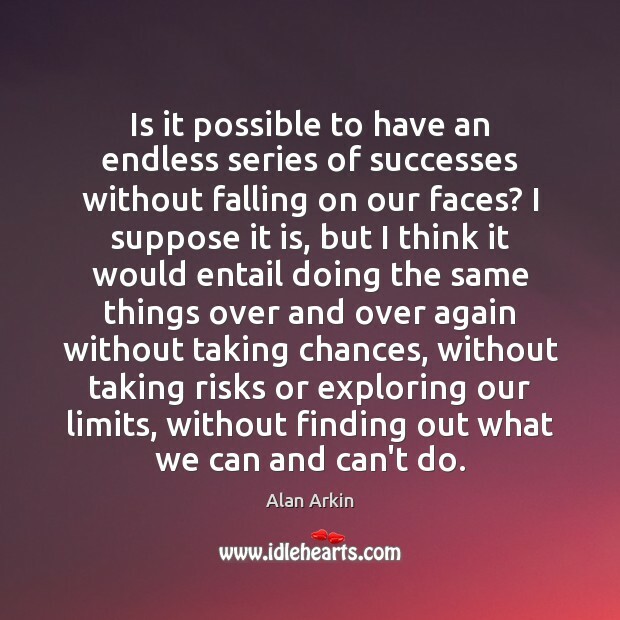 But what I'm looking for is the opportunity to explore what I can do, probing the limits, learning. I gotta keep busy. 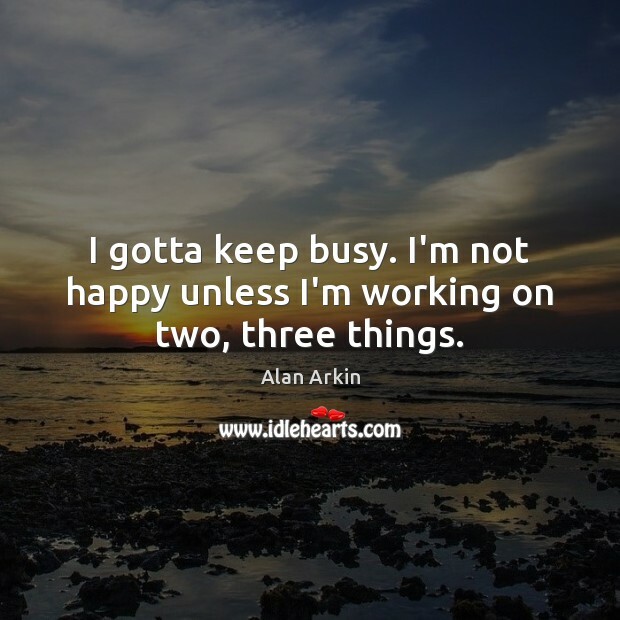 I'm not happy unless I'm working on two, three things. 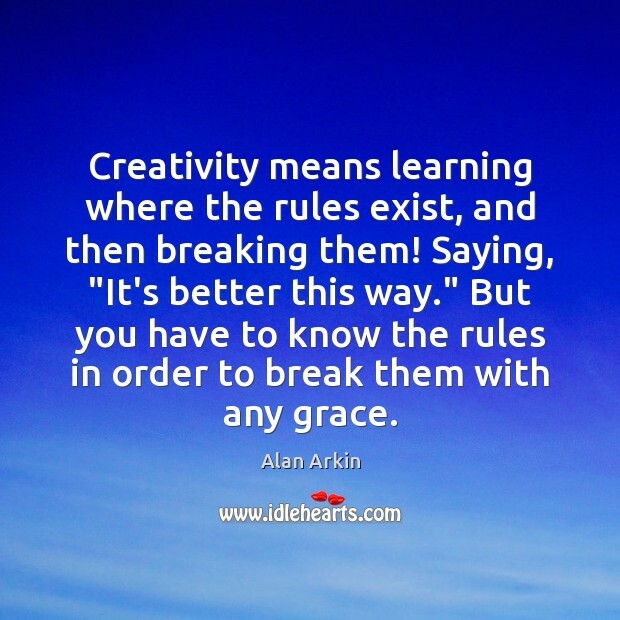 Creativity means learning where the rules exist, and then breaking them! 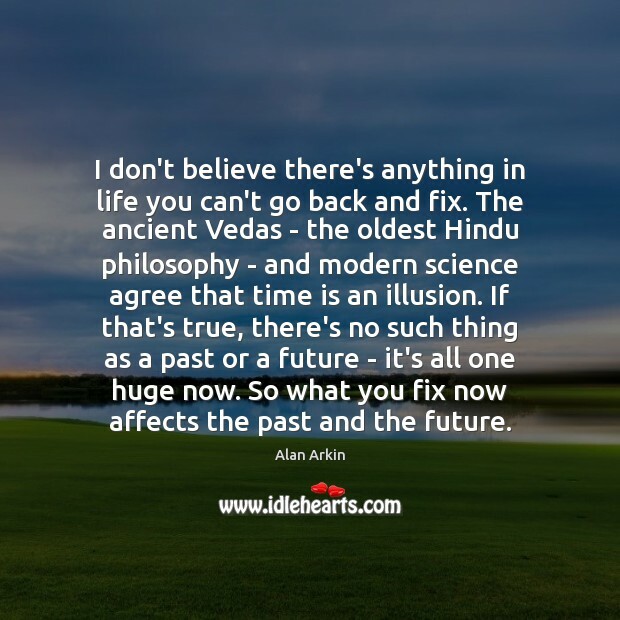 Saying, "It's better this way." But you have to know the rules in order to break them with any grace. 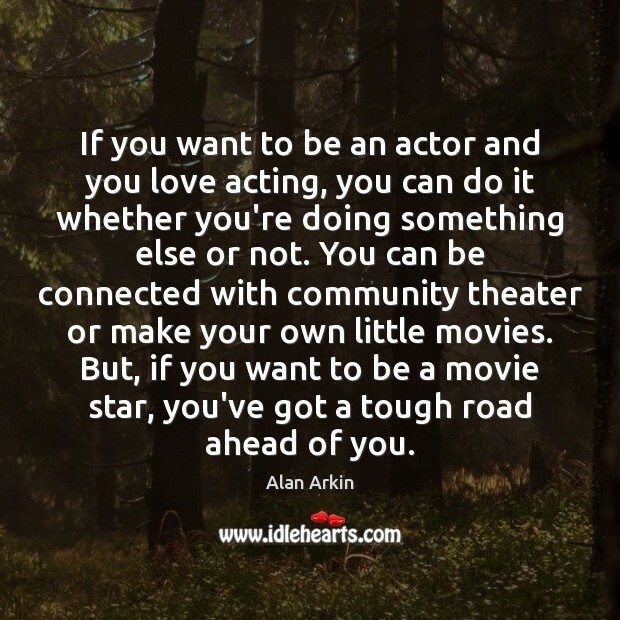 If you want to be an actor and you love acting, you can do it whether you're doing something else or not. You can be connected with community theater or make your own little movies. 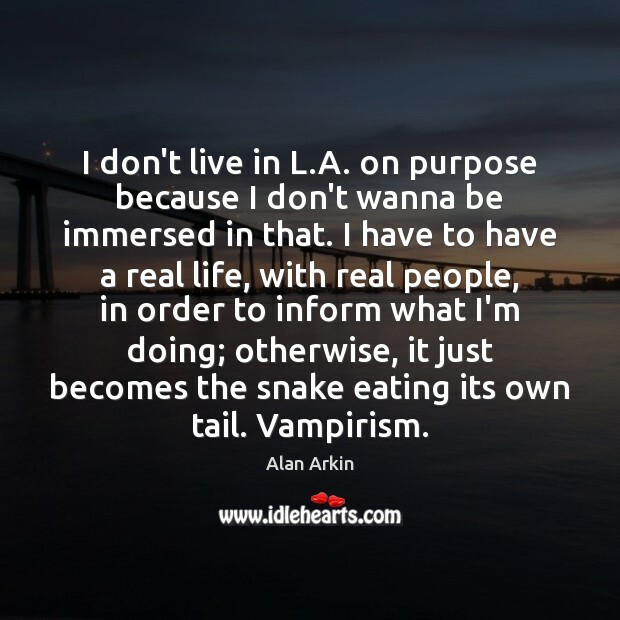 But, if you want to be a movie star, you've got a tough road ahead of you. 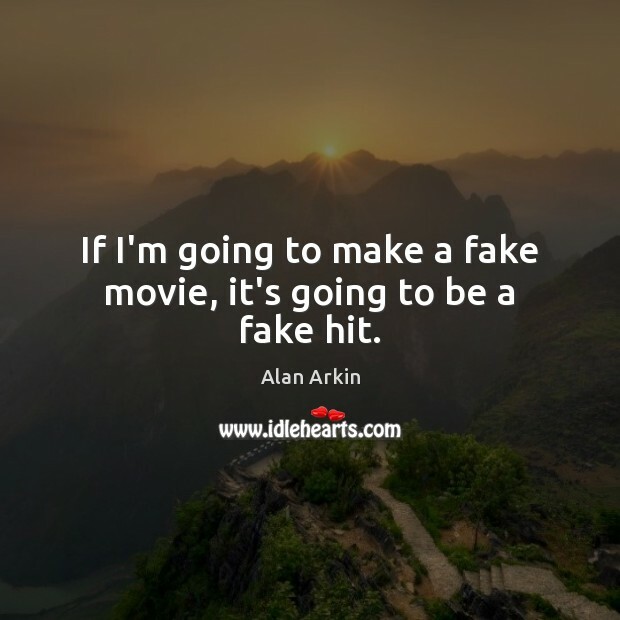 If I'm going to make a fake movie, it's going to be a fake hit. 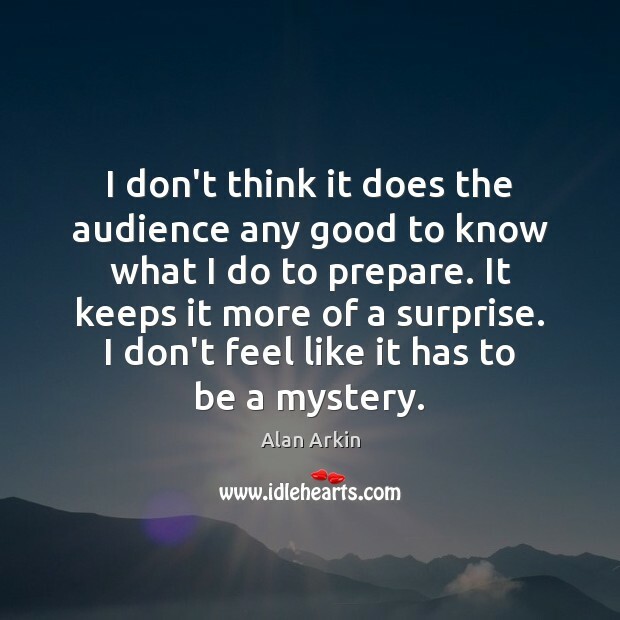 I don't think it does the audience any good to know what I do to prepare. It keeps it more of a surprise. I don't feel like it has to be a mystery. I played guitar. 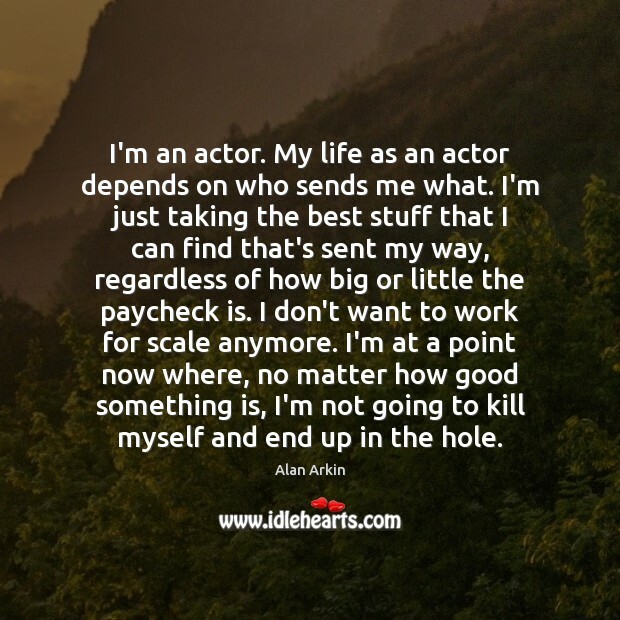 I've always considered myself an actor, but I wasn't making a living as an actor. So I was in a couple of folk groups that managed to keep me in underwear and burritos. There's a familiarity that sometimes shocks and annoys the hell out of me. 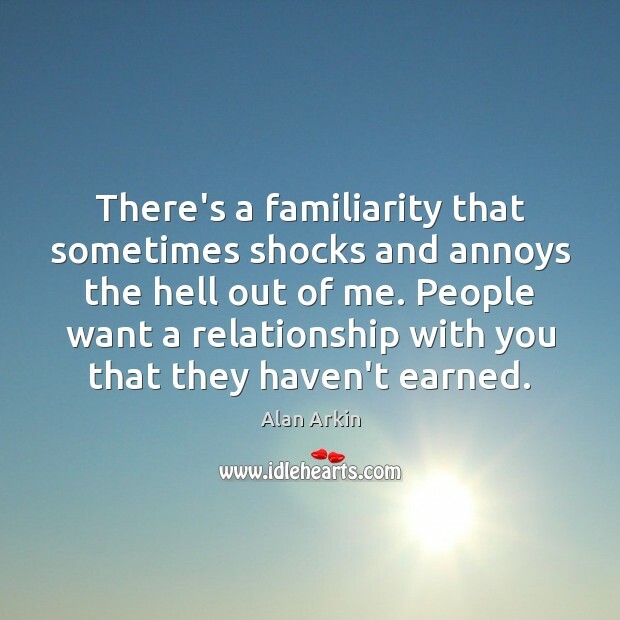 People want a relationship with you that they haven't earned. 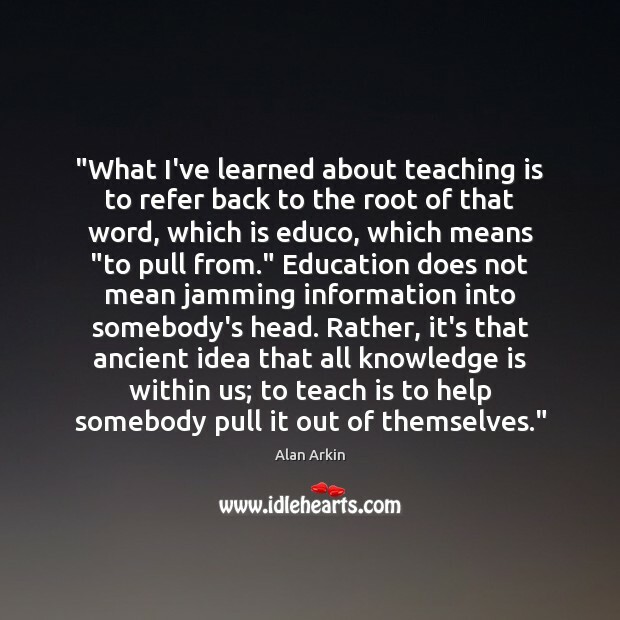 "What I've learned about teaching is to refer back to the root of that word, which is educo, which means "to pull from." Education does not mean jamming information into somebody's head. Rather, it's that ancient idea that all knowledge is within us; to teach is to help somebody pull it out of themselves." I'm an actor. My life as an actor depends on who sends me what. 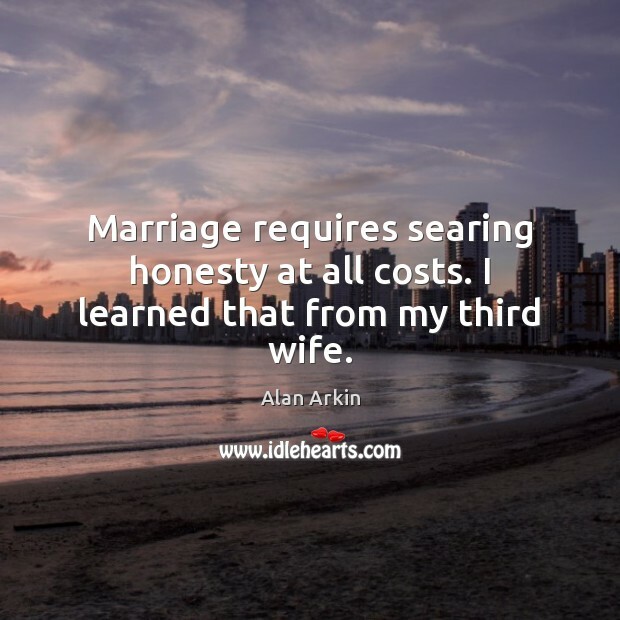 I'm just taking the best stuff that I can find that's sent my way, regardless of how big or little the paycheck is. I don't want to work for scale anymore. I'm at a point now where, no matter how good something is, I'm not going to kill myself and end up in the hole. My favorite kind of film is serious comedy. Comedy with serious underpinning.